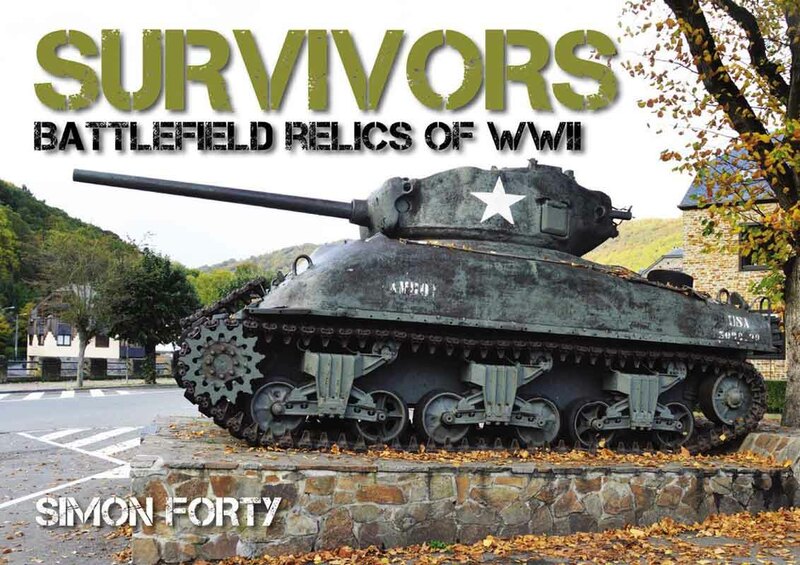 Survivors: Battlefield Relics of World War II tells the stories of some of the massive military weapons left scattered across the European countryside after the Second World War, accompanied by maps and a gazetteer of their locations. Large, difficult to move, and now without a use, they've settled in as monuments and tributes to the battles that passed. By the end of World War II, the battlefields were littered with debris, the most obvious being knocked out tanks and other armored vehicles. Tanks were usually sold as scrap metal, but some were acquired by museums and others were used as battlefield memorials. These survivors of the battles of World War II reflect in many ways the numbers built on both sides: there are many M4 Shermans,T-34s, Tigers, Panthers, Cromwells, Churchills, Somuas and Char-Bs. Each survivor, either on a memorial plinth or in a museum, has a story to tell—from the T-34 pulled out of an Estonian bog to the Tiger I at Vimoutiers to the badly damaged Panther at Houffalize. Some of these battlefield relics, like the multitude of M4s in France, show the path of the Allied armies as they took back Europe from the Axis powers. Each one of these armored titans is a testament to heroism. They commemorate American heroism during the Battle of the Bulge or French 2e DB’s Bourg La Reine outside Phalsbourg and Champagne, part of the force that destroyed the German 112th Panzer Brigade at Dompaire.